Roos started out as a simple sketch. I don’t always draw the entire doll out like this, I often do it when I have a number of dolls on the go at once and I have an idea I can’t get to immediately. Roos was most definitely there, fully formed, in my head. A little Dutch Rose girl. 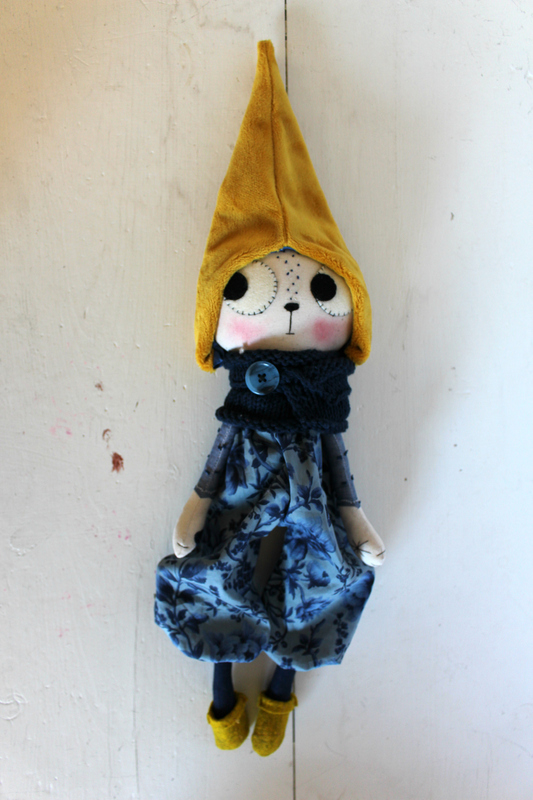 I love the fabrics in this doll. The swiss dot, and that Liberty print, which is such a glamorous print – the blue on blue of it was something I knew I wanted to build on, and then the accents of Gold. I only wish I had better photographs of her, but I am working on improving my photography as a matter of priority. Roos is a cream cotton cat doll. 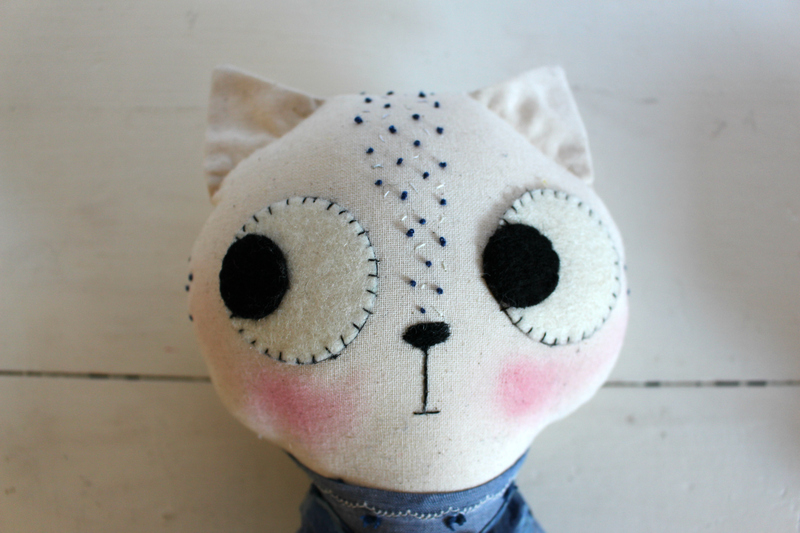 She has hand embroidered details of little french knots in blue-grey and cream interspersed with tiny seed stitches and wool felt eyes. Her body and arms are overlaid with a fine swiss dot fabric in blue. She has my signature satin stitched heart and star on her paws. Roos wears a removable outfit consisting of a playsuit made from blue Liberty Tana Lawn cotton with shoulder straps which fasten with silk covered buttons. 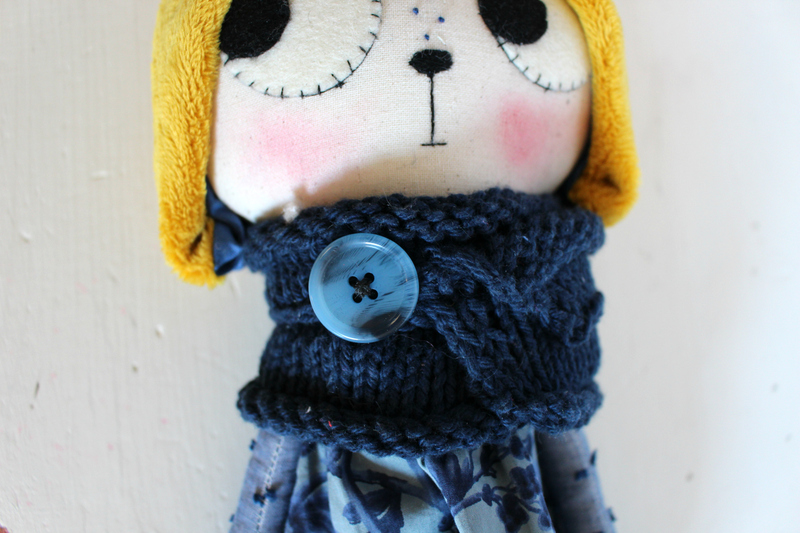 She also has a super soft gold hat made from Minky and a hand knitted stole which fastens with a blue faux tortoiseshell button. 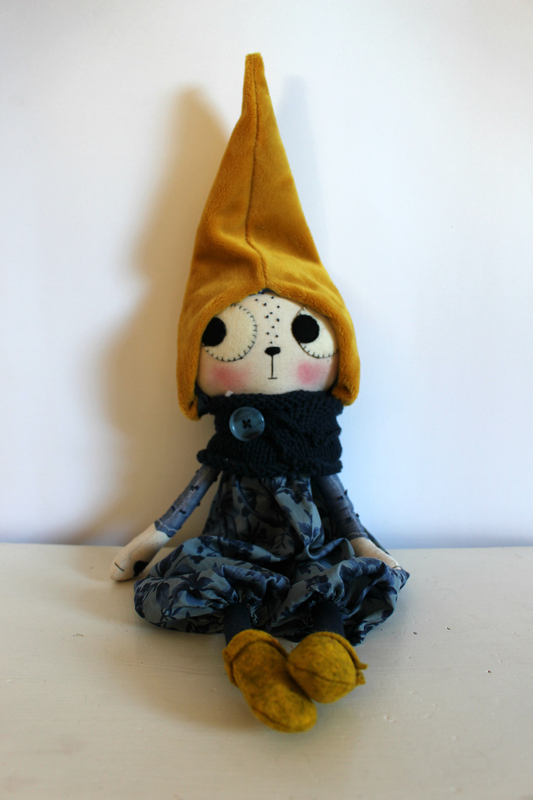 She also has removable shoes made from yellow marl wool felt.